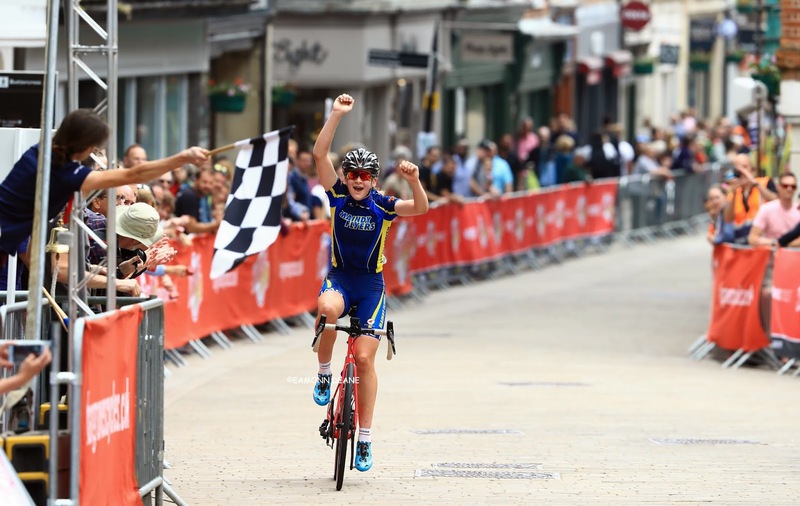 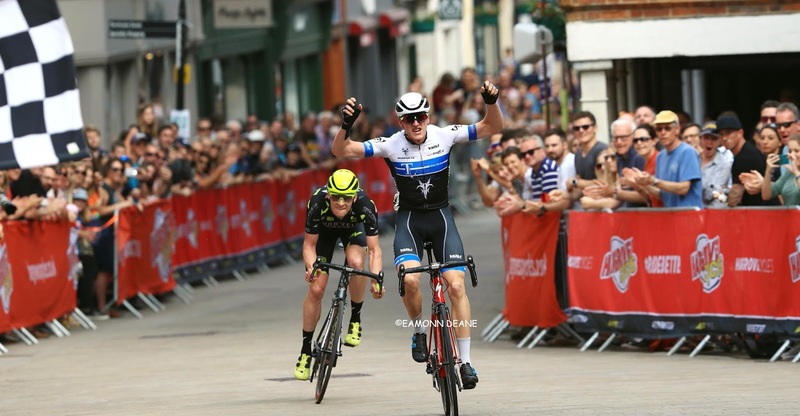 Frederik Scheske (Team Tor 2000 KALAS) & EJay Harris (Storey Racing) won the elite races at the ever popular Winchester Criterium on Sunday afternoon (10th) an event that incorporated the South Region circuit championships. 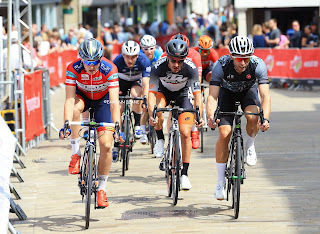 Scheske attacked on the first lap, the "Tour Series Hardened" Benjamin Marks (Morvelo Basso) was the only one to react, the legs were tired but those intuitive racing wits were pin sharp! 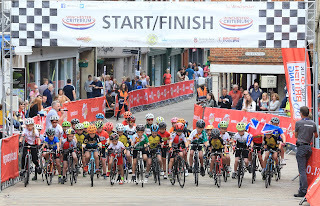 Working well together they quickly built a lead of 50 seconds as the bunch hesitated. 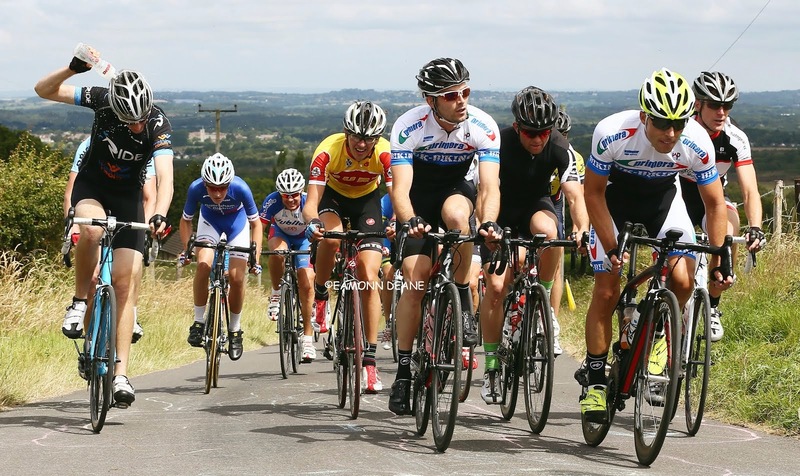 The lead hovered around a minute, the pair getting held up by back markers, a fate that befell the chasers, the pursuit further hampered when Andy Shackel (Vitus Pro Cycling) crashed out taking the luckless Oscar Hutchings (VC Equipe/Flix OralHygiene/Propulse) with him. 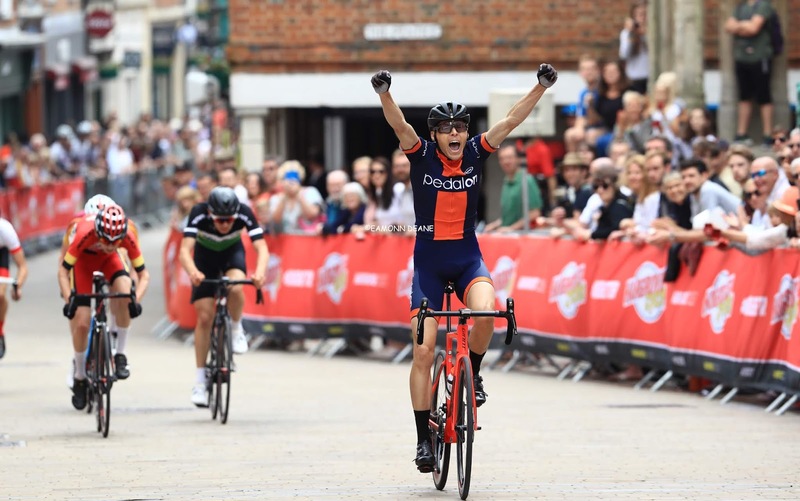 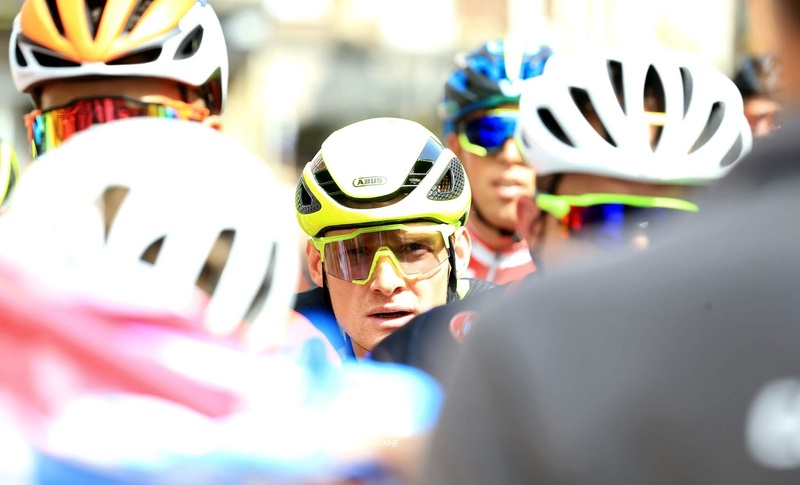 Scheske had crashed at the London Nocturne the previous evening but made no mistake this time, leading into the final corner he had too much speed for Marks who had also ridden the London event. Marks won the South Region Circuit title but it was clearly a consolation prize. "I just want to do some road racing" he reflected at the finish. 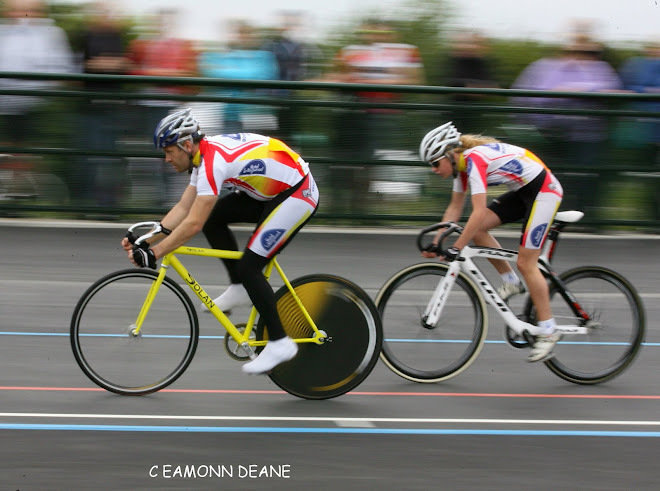 The impressive Red Walters (Sotonia CC), led much of the pursuit, won the sprint for third place and took the fastest lap award,1.32.326 for the 2,000 metre technical circuit. In the elite womens race Ejay Harris (Storey Racing) and Jessica Finney (Teamonform) showed their class riding away after a couple of laps never to be seen again. 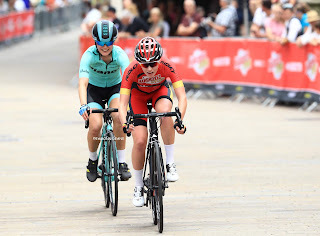 Bethan Stubbs (Bianchi Dama) and Katie Scott (Hargoves-Ridley-Montezuma's) enjoyed their own private battle as they gamely chased the two out front. Harris, whose next outing is the Tour of Britain, put the squeeze on Finney with two laps remaining, pulling away to enjoy a solo victory in front of the supportive crowd with Scott winning the third place scrap. Zoe Backstedt (Maindy Flyers) took advantage of some caution on the first corner in the U16 girls championships, riding away to a clear victory, there is no doubt about her career path! Backstedt had ridden, and won the U14 race, catching the boys ahead of her but was ineligible for the South Region championship, the title going to the hard working Daisy Davies (Gillingham & Dist Wh). 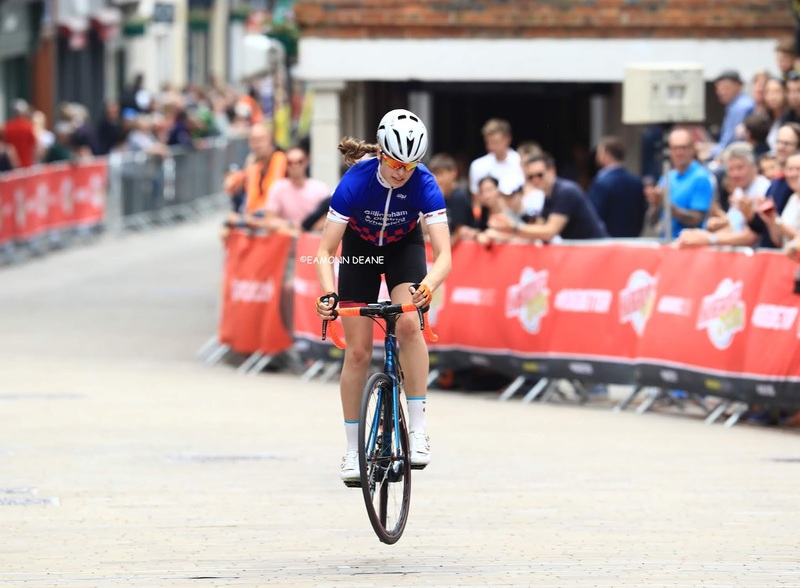 Davies got some "air" as she took the title bunny hopping across the line. Sam Freeman ( Solent Pirates) won the U16 Boys title, outsprinting Harvey McLean (Behind the Bikeshed) and Aurthur Boulton (Palmer Park Velo RT) after the three had gone clear early doors. 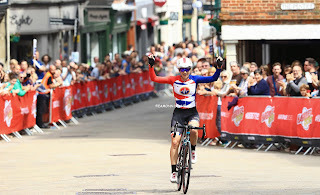 In the supporting 3rd/4th Cat race the experienced Jaime Norfolk (Pedalon.co.uk), clearly enjoyed another day in the sun. 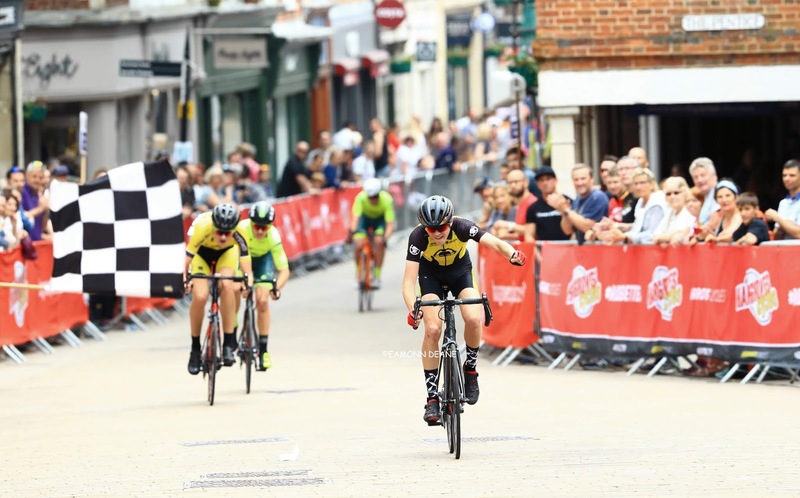 Norfolk drove a group a 6 clear and was never going to be beaten. 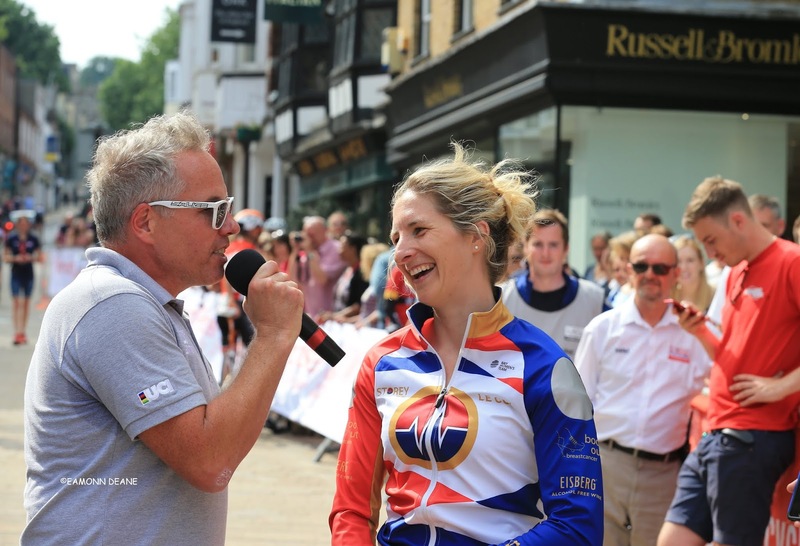 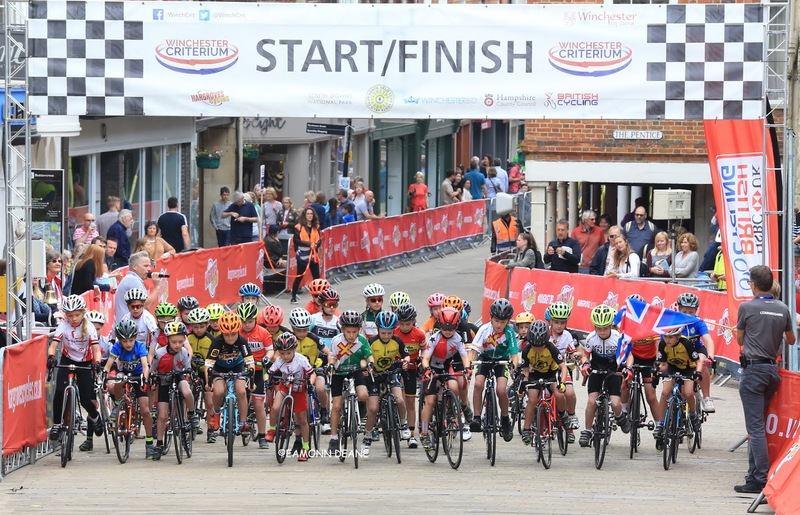 The Winchester criterium continues to go from strength to strength, courage from the council, commitment from the officials, enthusiasm from the crew and the excellent, entertaining, informative Marty MacDonald calling the action on the microphone! 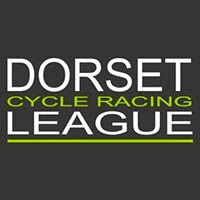 Plans are already underway for next year.
" 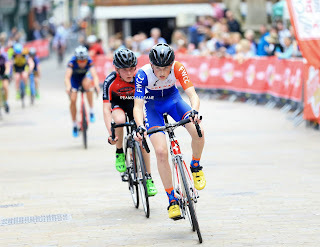 Jessica came with me,we worked well together, i put some power down with two laps to go! 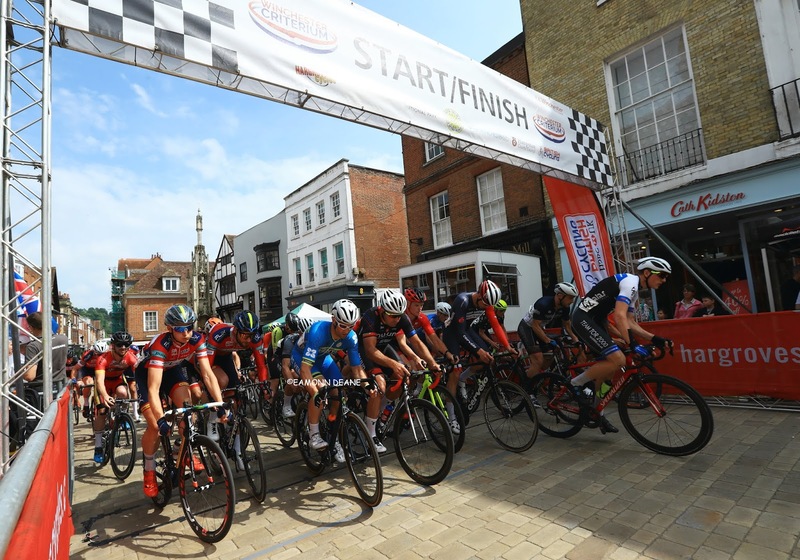 The crowds in Winchester are just as good as the Tour Series events, i had to prove today that i could race when the sun is shining. 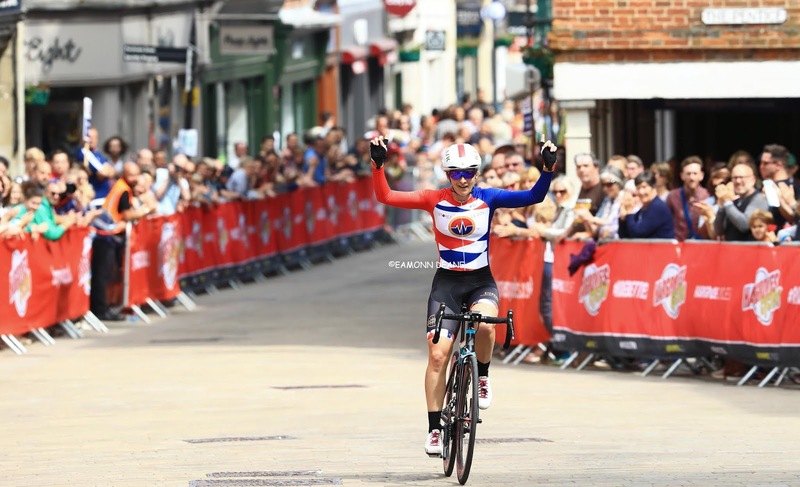 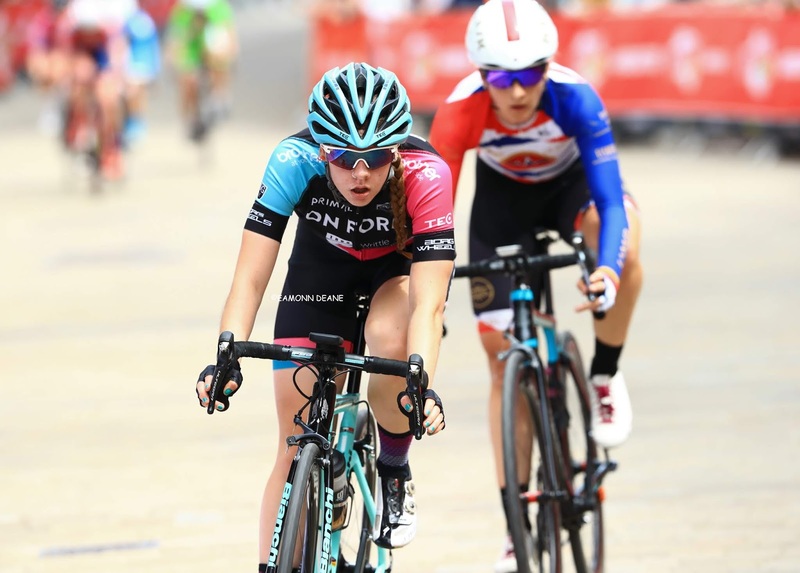 it’s great to have such a great race so local, the technical course really puts the bike handling skills to the test .I am really excited to race the OVO Energy Womens Tour next week, its world tour level so all the big teams will be there, i am really looking forward to it." 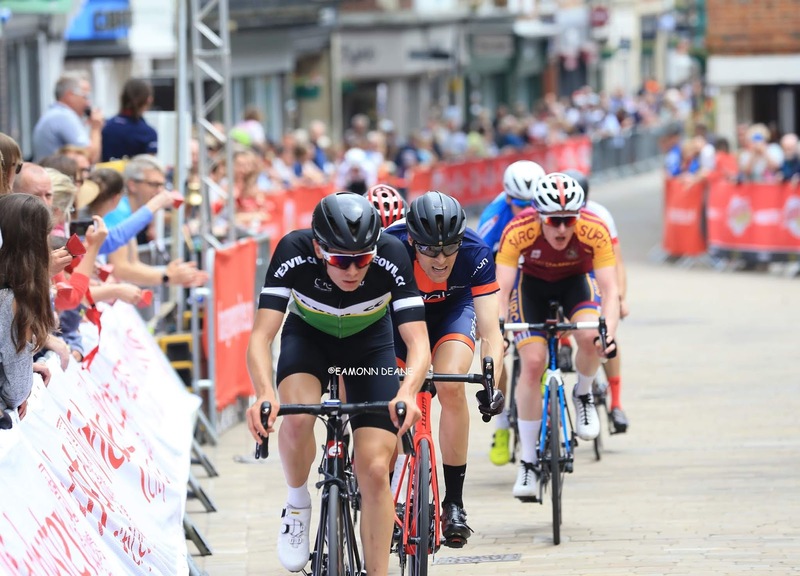 " I knew it was technical so i made sure i was on the front of the grid and strung it out on the first lap, i looked round and only Ben was there, i eased up, i knew we would work well together, we've raced together before. Yeah just teamwork to the finish really, he hit me a few times, i knew i could not ride away from him so i did not attack him, i was backing on outsprinting him, i crashed quite heavily at the London Nocturne last night and did not feel great. 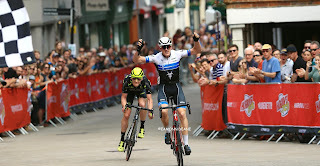 I backed the sprint and it worked. 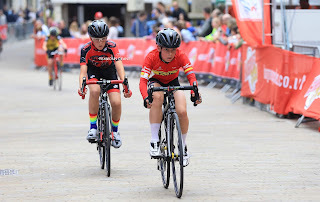 We both pulled one lap turns, its too technical to swap round the back of the circuit"
" I am very disappointed, i tried attacking him a few times but i did not read him very well, he looked a bit tired, he was not cornering quite as quick as me but i could not come round him on the last corner... i was beaten by the better man...i wanna do some road races, i'm done with crits"